With Okappy, you can easily connect to your customers or suppliers from the web Dashboard or the iPhone Monitor App. 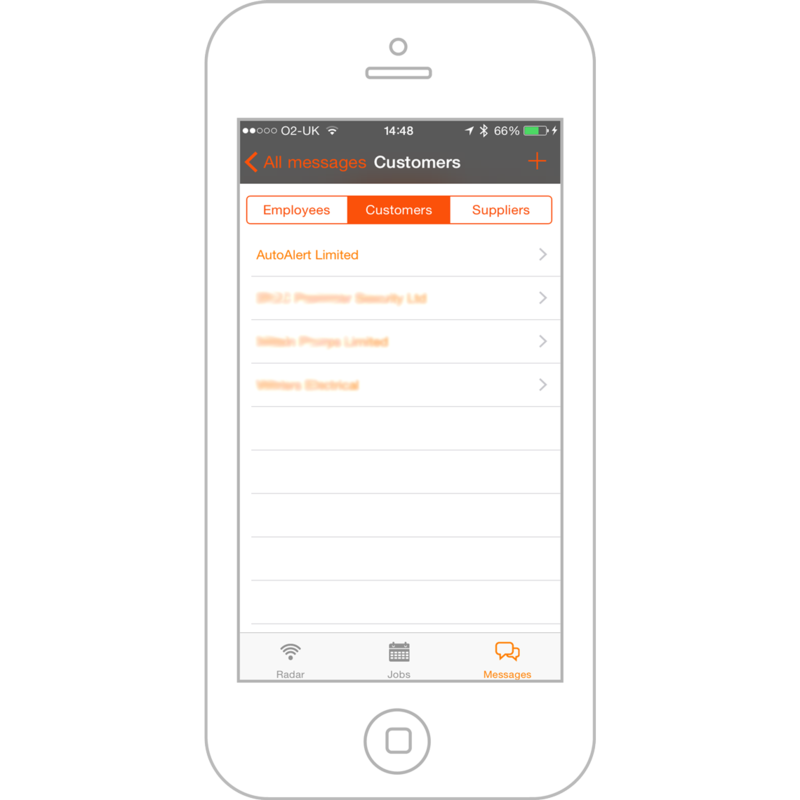 Once connected you can receive jobs from your customer, allocate them to your employee or subcontractor and ensure they are updated in real time. 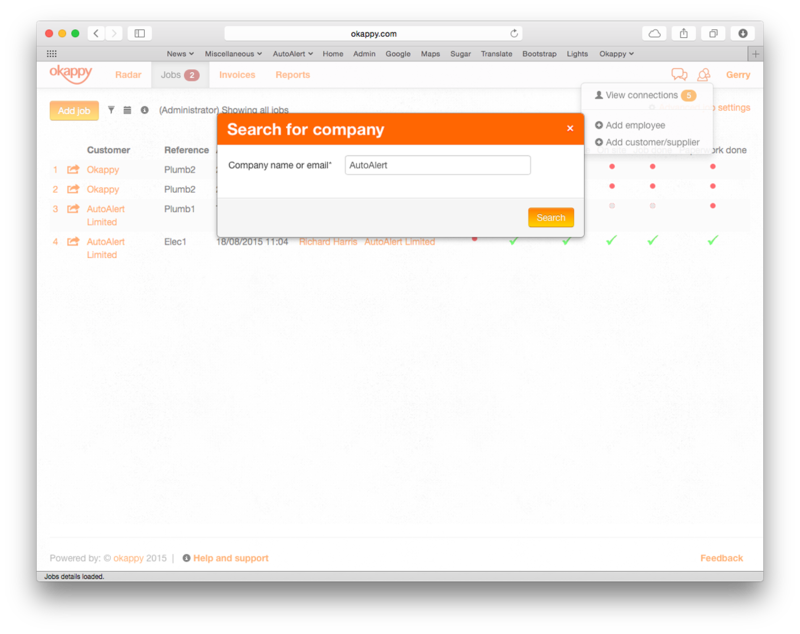 To add a customer or supplier when logged into your Okappy dashboard, click on the connections icon on the top right of the screen ( ) and then select Add customer/supplier. Type in the name of the company you want to connect to and click search. If they are already registered with Okappy, you will be able to see their details and profile then request to connect. If they are not registered, you can send them an invitation to connect. A request will be sent to the company and once authorised you will show up in each others' connection screen. To add a customer or supplier from your iPhone, open the Okappy Monitor application. Go to the Messages ( ) screen, click on connections ( ) on the top right of the screen. You will see the below screen. Select Customers or Suppliers and then click the plus button on the top right of the screen. If they are already registered with Okappy, you will be able to see their details and request to connect. An invitation will be sent to them. Once authorised, you can see their details and start sharing jobs. If they are not on the system, you can send an invitation to connect.